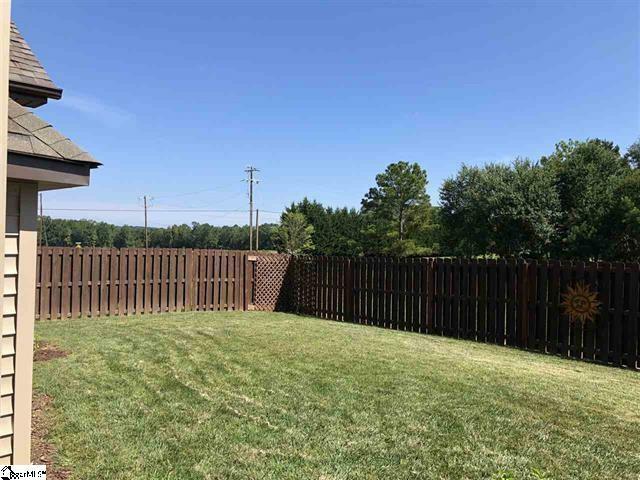 108 Canyon Court, Greenville, SC 29607 (#254293) :: Century 21 Blackwell & Co. Realty, Inc. 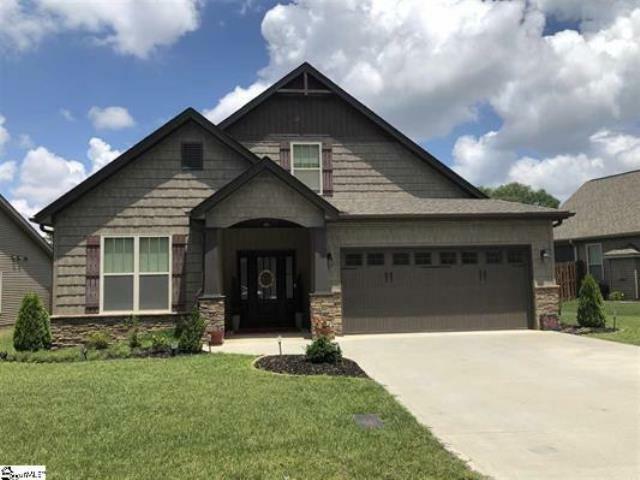 This 4 bedroom/3 full bath Craftsman is ideally located in Shoally Ridge subdivision close to everything: parks, shopping, dining, and only minutes to Downtown. Entering the foyer you will immediately notice the hand-scraped dark hardwoods located throughout the main living area. From the foyer you will pass two bedrooms and a full bath as you arrive in the kitchen adorned with granite countertops, upgraded cabinetry and a bar height counter for family and friends to gather. Over the smooth top stove is a microwave which doubles as a convection oven. The kitchen opens into a spacious family room with a stone surround fireplace ready for your flatscreen. 9 ceilings provide ample room for family gatherings. Connected to the family room is the Master on main. The master features his and her closets as well as an ensuite with adult height vanity, garden tub and shower with a seat. 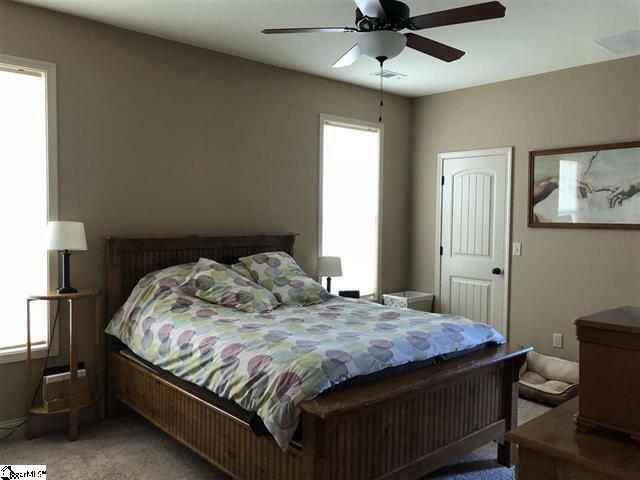 Upstairs, you will find a huge bonus room with ample space for exercise or recreational equipment or a home theater. This flexible room includes a huge closet and a full bathroom that will allow it to be a fourth bedroom. A walk-in attic space provides ample storage for your family. The covered back porch leads to a yard surrounded by a privacy fence and access to a large common area. The yard features four-zone irrigation covering the front, back, and flower beds. 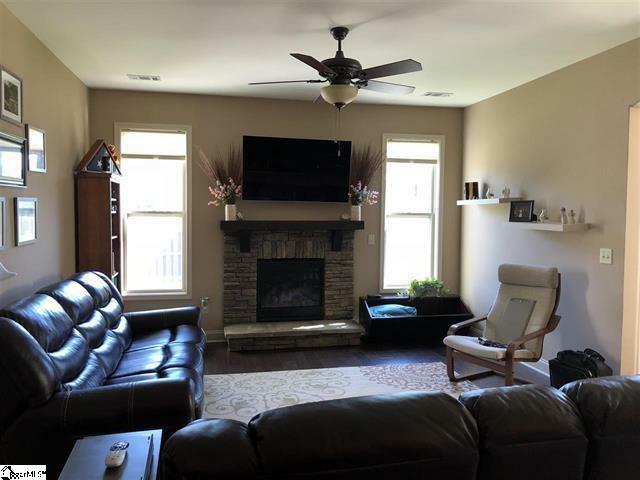 This cozy, quiet neighborhood is centrally located in the heart of the upstate: just minutes from Mauldin, Simpsonville, Downtown, and the Southern Connector. Homes in this neighborhood don't stay on the market long. Listing provided courtesy of Bhhs C Dan Joyner, Realtors-Simp.